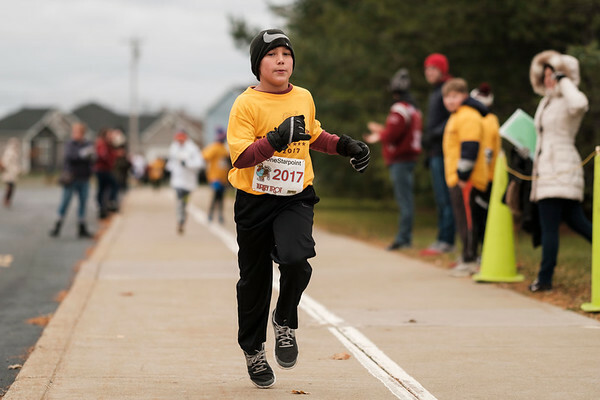 Noah Simpson, 10, finishes the Turkey Trot in first place for the second year in a row. His secret? "It's in my family's blood. My mom was a hurdle runner." Simpson said.